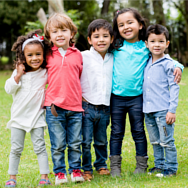 Can children be at risk for periodontal disease? You want to check all the boxes when you consider your child’s dental health. You make sure your child brushes twice daily to avoid cavities. You’ve made a plan for an orthodontic checkup just in case braces are needed. You insist on a mouthguard for dental protection during sports. One thing you might not have considered? Protecting your child from gum disease. Two minutes of brushing twice a day is the recommended amount of time to remove the bacteria and plaque that cause gingivitis (early gum disease). Flossing is also essential for removing bacteria and plaque from hard-to-reach areas around the teeth. The hormones that cause puberty can also lead to gums that become irritated more easily when exposed to plaque. This is a time to be especially proactive with dental health. Medical conditions such as diabetes can bring an increased risk of gum disease. Be sure to give us a complete picture of your child’s health, and we will let you know if there are potential complications for your child’s gums and teeth and how we can respond to and prevent them. More serious periodontal diseases, while relatively uncommon, can affect children and teens as well as adults. Aggressive periodontitis, for example, results in connective and bone tissue loss around the affected teeth, leading to loose teeth and even tooth loss. Let Drs. 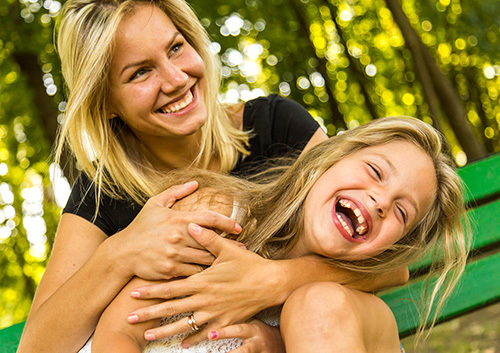 Cartsos and Zavras know if you have a family history of gum disease, as that might be a factor in your child’s dental health, and tell us if you have noticed any symptoms of gum disease. The best treatment for childhood gum disease is prevention. Careful brushing and flossing and regular visits to our Chestnut Hill, Massachusetts office for a professional cleaning will stop gingivitis from developing and from becoming a more serious form of gum disease. We will take care to look for any signs of gum problems, and have suggestions for you if your child is at greater risk for periodontitis. Together, we can encourage gentle and proactive gum care, and check off one more goal accomplished on your child’s path to lifelong dental health! 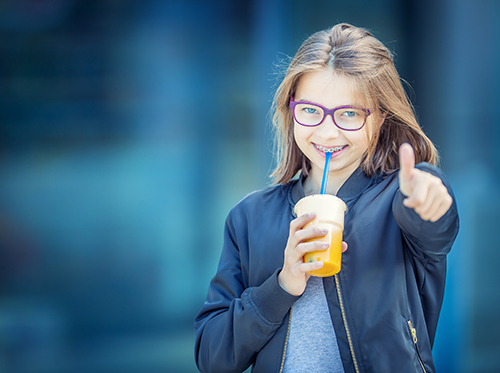 The average age of individuals who get braces is between nine and 14, although it is appropriate for younger children to visit Convivial Dental for a consultation with Drs. Cartsos and Zavras. While parents may be concerned about the efficacy of early orthodontics, research suggests that early intervention can prevent greater dental health problems later in life. Early intervention isn’t helpful for all conditions. For example, research suggests that there is little benefit to early orthodontics for Class II malocclusion (commonly known as an overbite). Instead, your child should wait until adolescence to begin treatment. Scheduling a visit to our Chestnut Hill, Massachusetts office when your child is around age seven is a smart way to create an individualized treatment plan that addresses unique orthodontic needs. It’s not unusual for a patient to be unaware of the range of services that orthodontists can provide for their patients. Knowing which services Drs. Cartsos and Zavras and our team perform can help you better understand your options and why we might select a particular method of treatment. But what does your orthodontist do besides help straighten teeth with the help of braces? Orthodontists are commonly known to help fix or realign crooked teeth. Many of the patients at Convivial Dental come in for appointments that relate to their braces. Drs. Cartsos and Zavras and our team recommend that children be seen around the age of seven to evaluate their potential orthodontic needs. Common problems may include overcrowding of teeth, large gaps or spaces, and overbites or underbites, among other things. When you visit our Chestnut Hill, Massachusetts office, we will go over these options with you and pick the best course of treatment, depending on the current state of your oral health. No matter which oral appliances you end up with, Drs. Cartsos and Zavras and our team will go over all the available options with you to give you a beautiful smile. If you have questions regarding your treatment method, don’t hesitate to call our office and we can provide you with some insight. 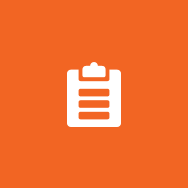 What is lingual orthodontic treatment? This might be the year that you’ve absolutely decided to do something to improve your smile. Perhaps your teeth are not as straight as you would like. Perhaps your bite is a bit off. Perhaps you want the increased confidence that a beautiful smile brings. But, for any number of reasons, perhaps you don’t want to sport traditional braces for a year or two. In that case, talk to Drs. Cartsos and Zavras about lingual braces! 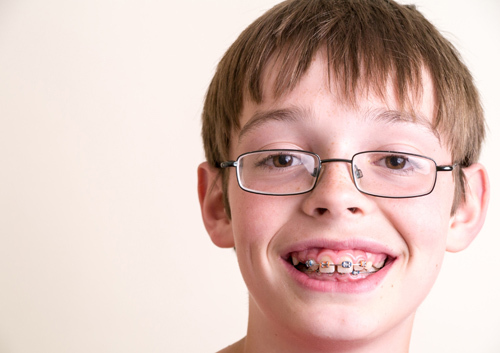 In normal braces, brackets are attached to the front of each tooth with a special dental cement, and rubber bands or clips within the brackets grip an arch wire that moves the teeth into alignment through gradual adjustments. These braces are very effective, but, even with ceramic or clear brackets, they are visible. Lingual means “toward the tongue,” and this is the key difference between lingual braces and traditional types of orthodontic braces. With this option, brackets are custom-designed to be applied to the inside of your teeth. A precise treatment plan is designed specifically for you, and individually crafted arch wires (again, on the inside of the teeth) guide your teeth to their best alignment. The resulting braces are almost impossible to detect. Will lingual braces work for you? You want the least visible orthodontic treatment available. You don’t have a major malocclusion (bite problem). A severe overbite might not leave room for the brackets. Your tooth surface is large enough for lingual brackets. 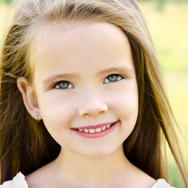 Children or adults with small teeth might not be ideal candidates. Because lingual braces are more difficult to install and adjust, orthodontists require special training and education to provide them to patients. If you think that lingual braces might be a good fit for you, talk to a member of our Chestnut Hill, Massachusetts team. We are happy to provide the information you will need to decide if lingual braces are the best option for you, and the expertise to design your custom treatment if you choose them. We want the best outcome for you and your smile, and there is absolutely no “perhaps” about that.